This blog post was supposed to go up way earlier in the week but I have had such computer problems. Alas, here it is! 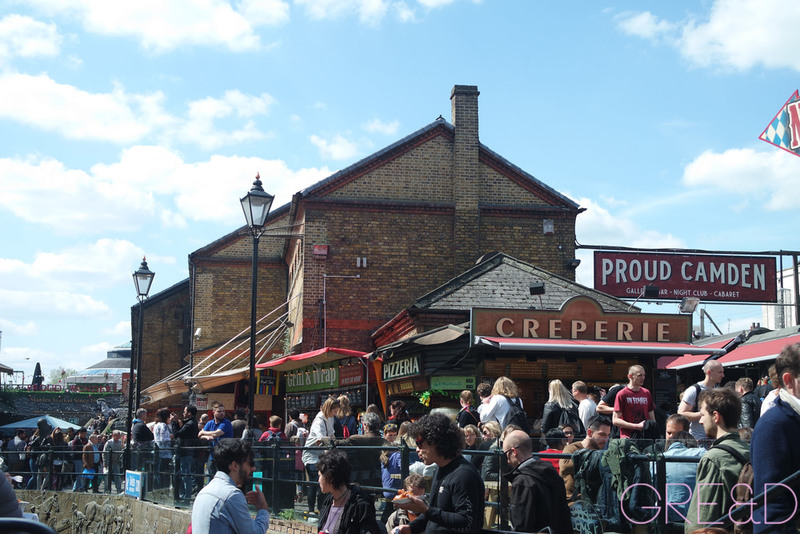 A few weeks ago Andrea had said that he had never been to a certain part of Camden, (in my eyes the best bit - the lock). So off we went on a really hot Sunday, in hindsight probably not the best day to go because it was bloomin' mental. We had a lovely wander around and started to get hungry of course, so wanted to one of the many stalls of world cuisine. My eye caught the attention of the famous ' Bang Bang Chicken' stall, a Chinese mix and match your food place all for either £5 or £7 depending on how hungry you are. As another selling point - the guy is a legend. He's quite famous for his karaoke singing. Years ago I had tried Bang Bang Chicken, but I seriously forgot how good it was. I assume it's the guy who owns the business but he hands out pieces of chicken to the passing public to get them to try it. He gave me a piece and I immediately knew I wanted a tub full of it. If you are from London or have been to Camden and had some of this, you will know what I mean...It's sweet, cinnamony aromas. I had it with some plain brown rice. Andrea on the other hand went the full monty! Bang Bang Chicken, Chicken in black bean sauce, Chicken satay, rice, noodles.. it was endless! What a deal though for £7. He was seriously impressed as was I. It was being made fresh in front of us, and the flavours were amazing. That's what I seriously love about Camden, is the endless treasures you find around every corner. After feeling incredibly full from all the chicken we started to walk down further into the lock, and into the market, Andrea pointed out that there was a Cereal Killer Cafe that was new there. 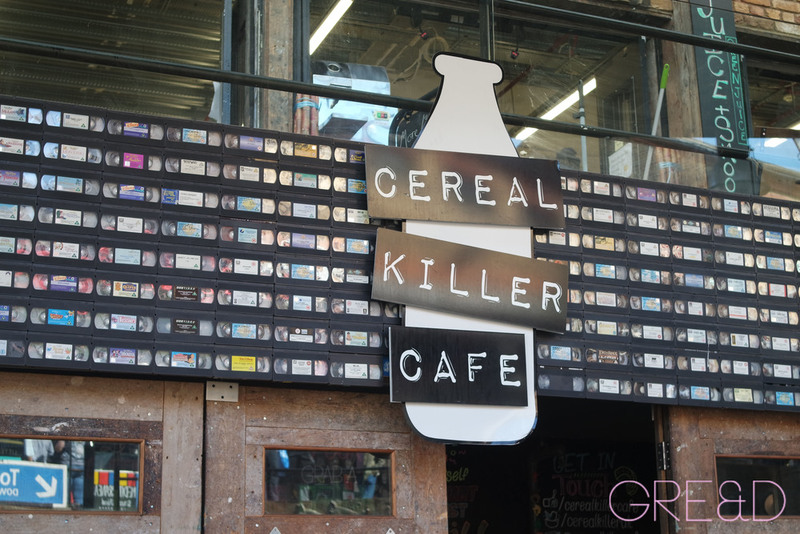 Fun fact - Andrea & I's first date was at the Cereal Killer Cafe in Shoreditch! So we are always drawn to it when we see one. We popped inside, and looked at their menu, baring in mind we had just eaten about 2 whole chickens,decided to have a bowl of cereal as our dessert! 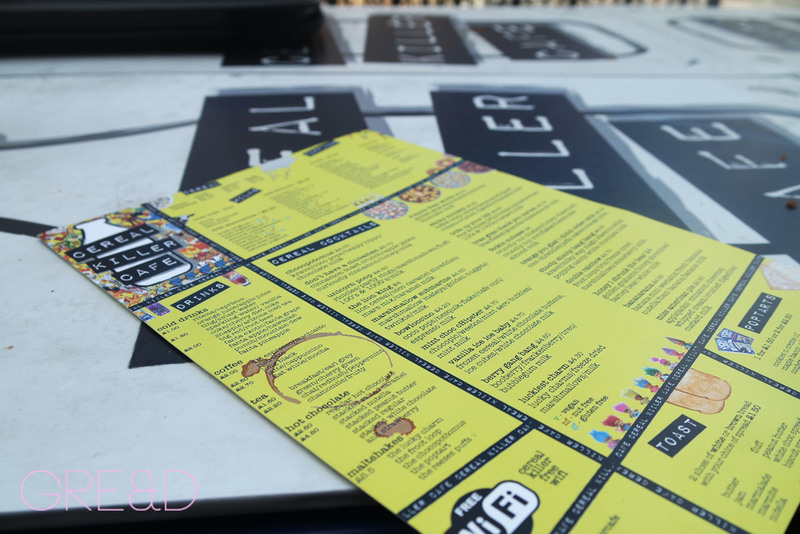 Cereal Killer is an amazing cafe which allows you to experiment with cereal. They import old classics from all around the world, have over 10 different flavours of milks and thousands of toppings! Oh and if you're extra hungry the whole collection of pop tarts. Before I had a set bowl from their menu, and it was called Unicorn Poop, with rice crispies, fluff, hundreds of thousands, party rings and strawberry milk. Enough to send you into a sugar rush for 1000 years. 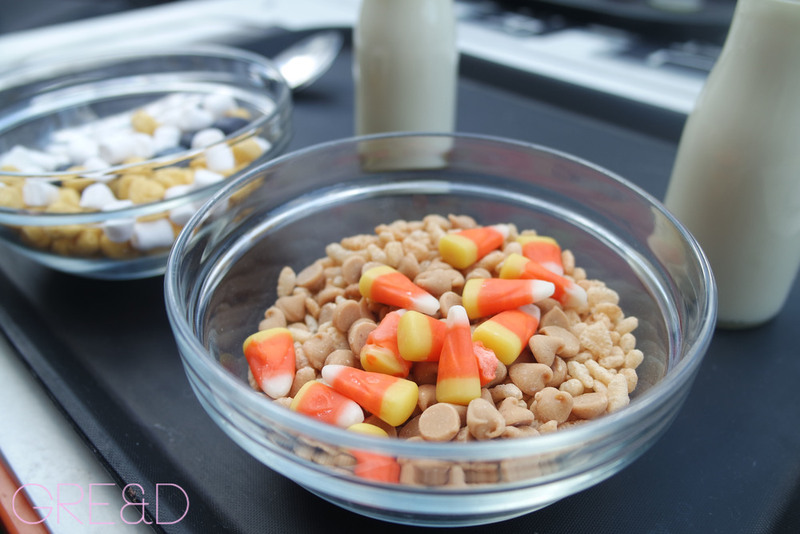 This time I wanted to make my own, so settled for rice crispies (again) with candy corn, peanut butter pieces and salted caramel milk. It was super super sweet and extremely tasty but I physically couldn't eat it all. Andrea made his own too; golden puffs, blueberries, marshmallows and banana milk. It was a lovely day out, trying the new and reminiscing with the old. You about in North London?